The Polesworth School is the lead school within a successful partnership that spans a large area of the Midlands. 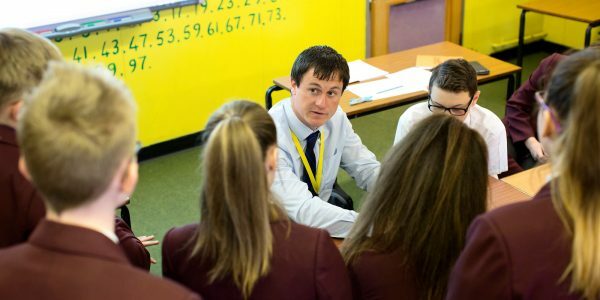 Covering North Warwickshire, Staffordshire, and Derbyshire the schools within our Alliance are offering both salaried and non-salaried training places and provide the opportunity for trainees to experience teaching in a wide variety of settings. The recruitment window for teacher training places is due to open mid-October. We are looking for highly motivated graduates who have either recently graduated (or about to graduate), or for those looking to change career path. We want people with excellent communication skills and who can demonstrate their potential to become outstanding teachers. All of our vacancies result in QTS and PGCE qualifications. Your time will be spent mainly in your chosen school. Fridays will be spent working with your university provider (either University of Warwick or University of Derby). Whilst one day a week will be spent at the University, some of your PGCE will be delivered at The Polesworth School. You will actively participate in our Professional Learning Programme, part of a well-resourced, effectively led and co-ordinated programme, involving people at all levels, creating a climate where professional development can flourish to the benefit of all. During your initial year of training with us you will receive rigorous and regular professional development so that you can progress to being an outstanding teacher. Excellent relationships for learning are a prerequisite for all other achievements. Relationships that engender mutual respect between young people, and all other members of our school community will ensure learning can be fun in a disciplined and caring environment where the highest expectations are the norm.